Free Film Screening of "13th"
Grace City Church Bridgeport will be hosting a free screening of the Oscar-nominated documentary "13th" on Sunday, February 19 at 4 p.m. the Burroughs Community Center, 2470 Fairfield Ave.
"13th" is a documentary produced by filmmaker Ava DuVernay exploring the history of racial inequality in the U.S. that has manifested itself in different forms, one of which is the mass incarceration of African Americans. 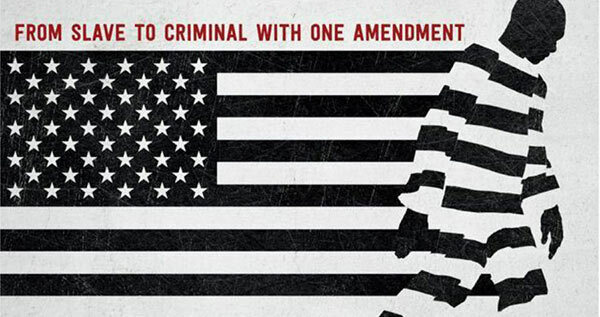 The name of the film refers to the 13th Amendment to the United States Constitution that abolished slavery and involuntary servitude, except as punishment for a crime. The film shows how black criminality has been portrayed for more than 100 years, by painting certain images that match the white imagination of black slaves being savages, animals, and rapists. This event coincides with Black History Month events hosted by Grace City Church Bridgeport (where Pastor Doran Wright sits on the city's Juvenile Justice Taskforce). All are welcome and refreshments will be served. Surveys will be handed out after the film screening and a panel discussion will be scheduled in early March.